What is the purpose of a 1.65 metre parking block? The purpose of this parking block is to protect vehicles and keep them in their proper spaces. 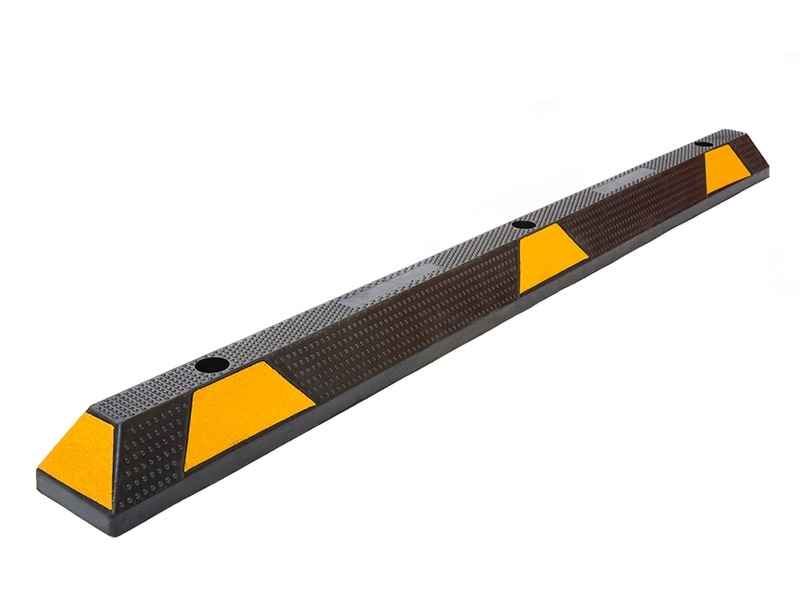 These types of rubber wheel stops can be placed in front of walls in parking garages, for example, to keep vehicles from running up into them and incurring damage. 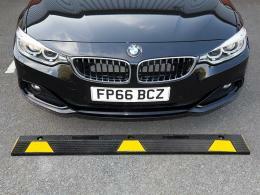 The 1.65 metre parking block can be used almost anywhere that vehicles are kept. It is most often used in garages and outdoor lots to keep vehicles in their proper spaces. Anyone who operates a garage, outdoor lot, or any other location where vehicles will be kept could find use for this product. It is just what you need if you seek to protect vehicles from walls and keep them from taking up more space than needed. This item may also be referred to as a rubber stop, or bump stop. This item is perfect for use is any type of outdoor lot, parking garage, or for separating cycle lanes. 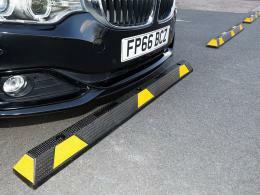 It offers extra vehicle protection by acting as a solid last resort to stop a vehicle’s wheels at the end of a parking bay, if the vehicle somehow gets that far. 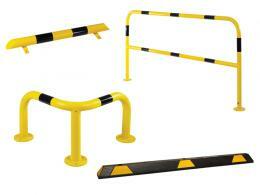 However, the bright colours are easily visible and provide a warning before vehicles even touch this item. You will not only feel good about the affordability of this product, you will also feel great about helping the environment, because this item is made from recycled rubber. The black colour is offset by orange reflector areas that are highly visible, even at night. Comes with the fixings needed to install it. Its dimensions are 100mm(H) x 1650mm(L) x 140mm(W).This item is carefully construction from high-quality materials, and it will definitely stand the test of time.